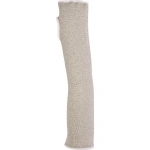 Heat resistant 2-layers knitted glove. 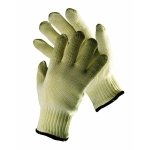 Outer layer consists of 85% Nomex + 15% Kevlar fibers, inner layer – 100% cotton. Hands protection from contact heat up to 350°С. Length – 27 cm. Sizes: 10. Sold singly.